Charmtech Labs LLC launches the Capti Narrator web service - http://www.captivoice.com - a productivity and education tool that empowers students with reading disabilities and English language learners to listen to everything they want to read. This revolutionary productivity tool will save time for students and educators by allowing them to add their reading materials to their Playlists and then listen to them in class or on the go. 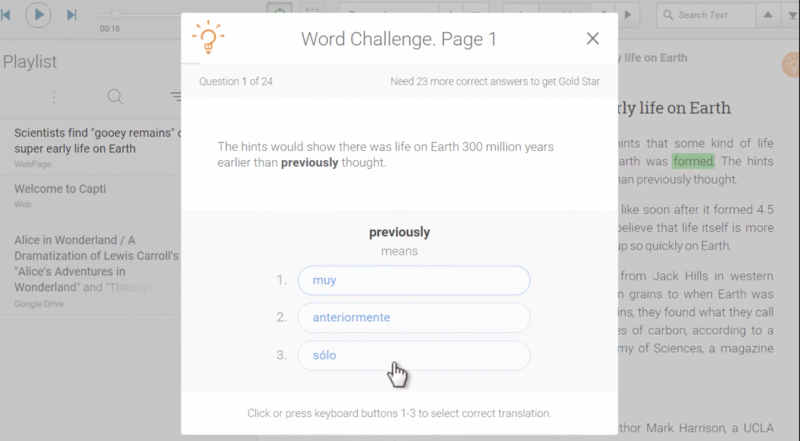 Charmtech Labs LLC launches a free web service that can be used by English language learners, students with dyslexia and vision loss, as well as their instructors to make any reading materials “come alive” right in their web browsers. Specifically, http://www.captivoice.com visitors in most web browsers (except Firefox and IE) can add any digital texts to their Playlists, and have Capti narrate them with high quality text-to-speech voices. Playlists synchronizes with Capti app for iPhone and iPad, enabling one to keep listening on the go. The app and the web service are available to individuals for free with optional paid premium features. Capti is offered to organizations with a low-cost subscription plan. 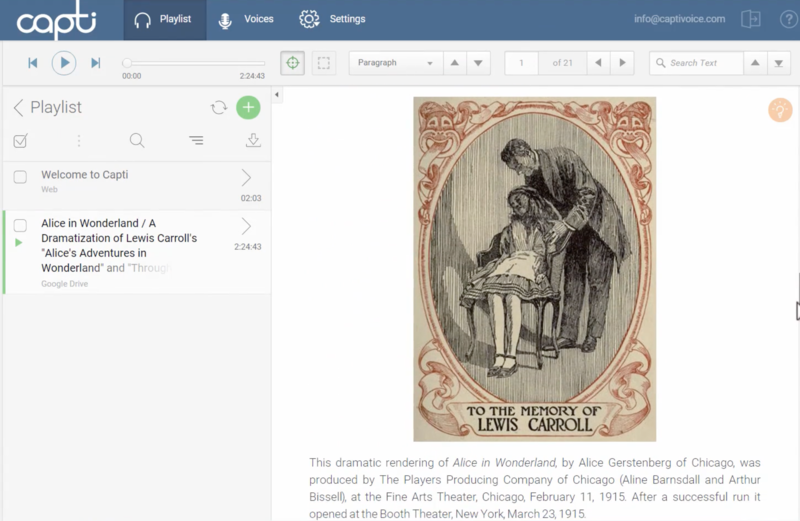 Capti Narrator makes it easy for teachers to create Playlists with textual materials and share them with their students, who can listen to their reading assignments on any of their devices. Capti supports many popular file formats such as EPUB, PDF, and DOC that can be added to the Playlist from numerous sources, including the local computer, other iOS apps, Cloud storage services: Dropbox, Google Drive, and OneDrive; read-it-later lists: Instapaper and Pocket; and book libraries such as Bookshare (350K titles restricted to people with disabilities).